LEGO Fan and flickr.com member bigboy99899 created brillant MOC with some light effects and dozens of white pieces to create Emotions: Winter. 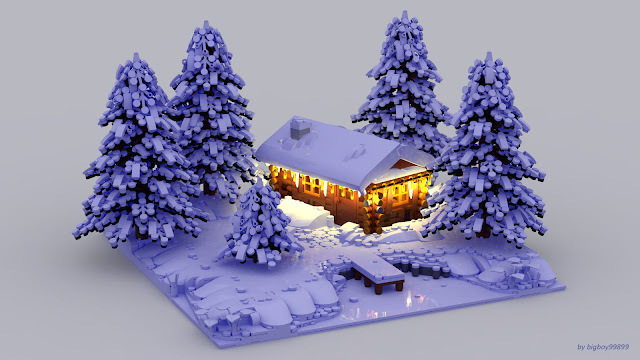 I think this is the realistic winter scene I have ever seen was built by LEGO pieces. Leaves with snow loads simulate perfectly, snowy roof design and light effects are impressive too. This MOC totally makes me excited to create a snowy MOC.